Every person has a unique smile. You probably knew that your teeth were unique— as unique as a fingerprint, in fact— but did you know that your smile makes you special in a different way? According to many scientific studies, a person’s smile can affect personal and professional relationships. It can inspire confidence or cause distrust, attract others or repel them. 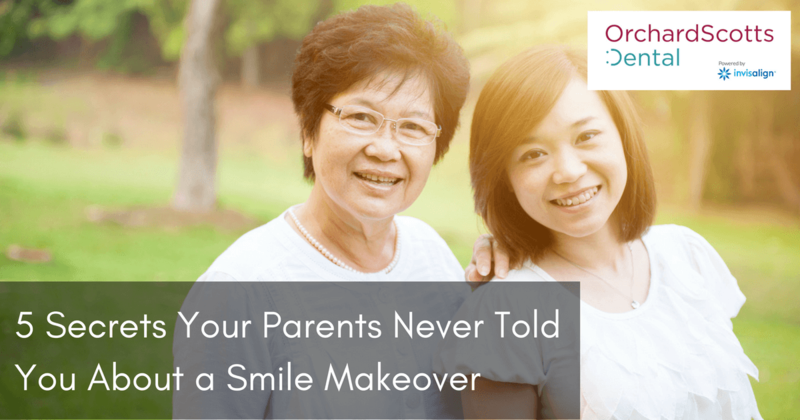 Explore some additional secrets about your smile and the potential for change that a smile makeover could bring to your life. The most important part of your smile is your teeth. Are they straight? Are they a light ivory, a dirty yellow, or a glistening white? Are your teeth symmetrical, or do you have some oddly shaped or damaged ones? Do some of them protrude unattractively? Depending on the circumstances, any of these issues can be resolved with the assistance of an Invisalign provider in Singapore, or by pursuing teeth whitening or porcelain veneers. In some severe cases of malocclusion, you may need to consider surgery; but with modern technology on your side, most of the issues can be corrected within a year or two using less invasive measures. Your smile isn’t all about your teeth. The soft tissues of your mouth and lips also have their role to play. How much gum are you showing when you smile? Are your gums a light, healthy pink or a deep, inflamed red? Do your gums overlap your teeth too much, or are they receding? Good oral hygiene is key to keeping your gums healthy and your lips hydrated; but if you’re struggling with serious aesthetic issues, you may need the help of a dentist in Singapore. Gum grafting, laser gum reshaping, and other techniques can help you achieve a more attractive and balanced smile. If your teeth are protruding, they can make your lips stick out or force your mouth into a crooked shape; so once you fix that issue, your lips can assume a more natural, symmetrical position. The human mouth is full of bacteria. You may brush it away after a meal or when you get up in the morning, but before long, it comes right back. After a few hours, you may be able to feel the sticky plaque beginning to build up on your teeth. Brush thoroughly but gently after each meal, or at least twice a day. That way, you’ll remove substances that could dull the shine of your teeth or cause unsightly stains. You have probably seen actors and TV personalities with glaringly white teeth. You can get your teeth fairly white, but there is a limit to how much bleaching can do. Talk to your dentist about ways to achieve a whiter smile that still looks natural. You can take vitamins and supplements that benefit the health of your gums and teeth. Look for those that are designed to aid your bones and gums, and try varieties that are filled with antioxidants that support the immune system and reduce inflammation. For any questions related to oral health or smile makeovers, contact the team at Orchard Scotts Dental. As a respected Invisalign provider and supplier of many dental services, we’re ready to support you in your journey to a healthier, more attractive smile.